A limited number of seats released at £29.50 daily for that day's performance(s) at 10:00AM, in person at the Apollo Victoria Box Office. 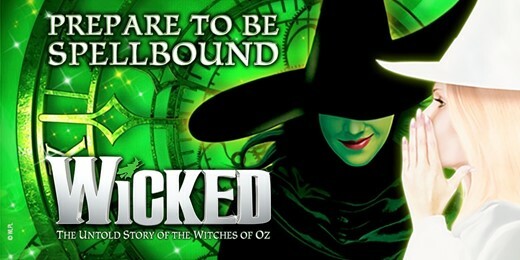 Winner of over 100 major awards, this unforgettable musical transports audience to a stunningly re-imagined world of Oz, providing marvels beyond your imagination. Opened as the New Victoria Cinema in 1930, the Apollo Victoria is a venue brimming with art deco design. In the era of 'super' cinemas, Provincial Cinematograph Theatres (PCT) invited Ernest Walmsley Lewis to submit plans to build such a cinema a stone’s throw away from Victoria Station. It was one of Britain’s first cinemas to be listed for its architectural significance and is now a Grade II* listed building. In 2016, the auditorium and Front of House areas underwent a complete refurbishment. All seats and carpets were replaced, with new seat stanchions formed in cast iron, replicated from the original design. Throughout the theatre, care has been taken to restore the unique features, with restorative touches returning the auditorium to its original green colour scheme, and original mermaid statues re-lit and restored to retain their striking presence. The venue has become one of the leading West End venues, hosting musicals such as The Sound of Music, Camelot, Fiddler on the Roof, Starlight Express and Saturday Night Fever. 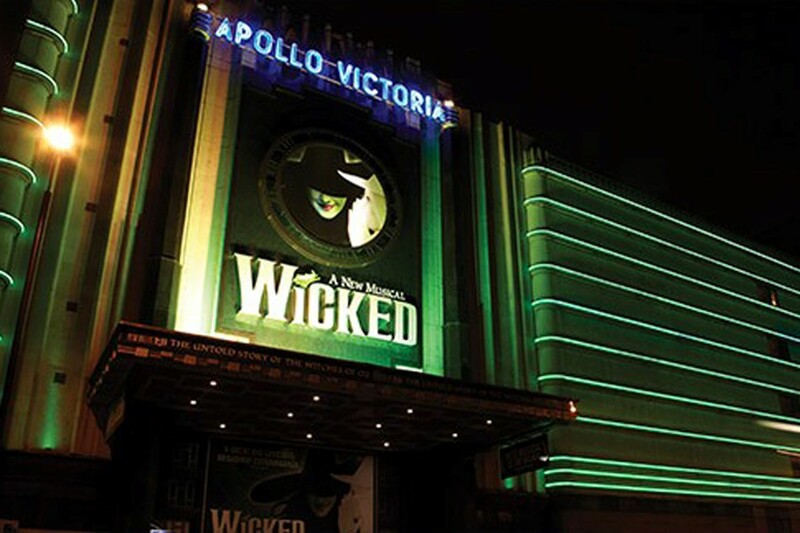 WICKED has been casting its spell over audiences across the world for the last 15 years and continues to be a 'West End sensation' (Daily Mail) at the Apollo Victoria Theatre, where it is currently in its 13th magical year.